If you own a small business, tax time can be a little less daunting when you use these free business tax planning worksheets. You can use the worksheets to calculate your income and expenses for your own tax preparation, or complete the worksheets and take them to your accountant for fast and easy return preparation. Regardless of your business structure, you can find the worksheet you need right here. These free business tax planning worksheets are easy to use. The word processing format allows you to edit text quickly and the Excel spreadsheet inserts allow you to effortlessly calculate your income and expenses. There’s even extra space in the spreadsheets to add special expenses you might have. To use the Excel inserts, double click on the calculated tables. This opens the Excel program so you can add your figures. Formulas for determining required calculations have already been entered and templates are available for the following. Just click on the link and you'll be taken to the download page for the template. All businesses must report income activity from operations on an annual basis. The most integral part of any business tax return is the bottom line, or net income. Net income is determined by first calculating your business gross income (income from all sources), then deducting your eligible expenses. The result is your business net income or loss. Certain other factors may impact your company’s bottom line, such as acquiring or disposing of company assets, making charitable contributions, or receiving dividends from company owned stock. In general, if your business produces or manufactures items, or maintains any type of inventory, you must account for the costs you incur to produce or sell your items separately from normal operating expenses. For example, labor costs for employees who work on an assembly line are directly associated to the cost of producing a product, whereas a regular office employee is not directly associated with producing the product. Each of the free business tax planning worksheets associated with this article includes Excel spreadsheets for calculating your COGS amount. COGS amounts reduce your company’s gross income. You can take a deduction for business related auto expenses that your company incurs during the year. The two methods for calculating vehicle expenses are the Standard Mileage Rate method and the Actual Cost method. You can only use one of the methods to figure your vehicle expense deduction, and once you choose the Standard Mileage Rate method, you must continue to use the method for the life of your business vehicle. Each year, the IRS sets a new mileage rate for business vehicle use. 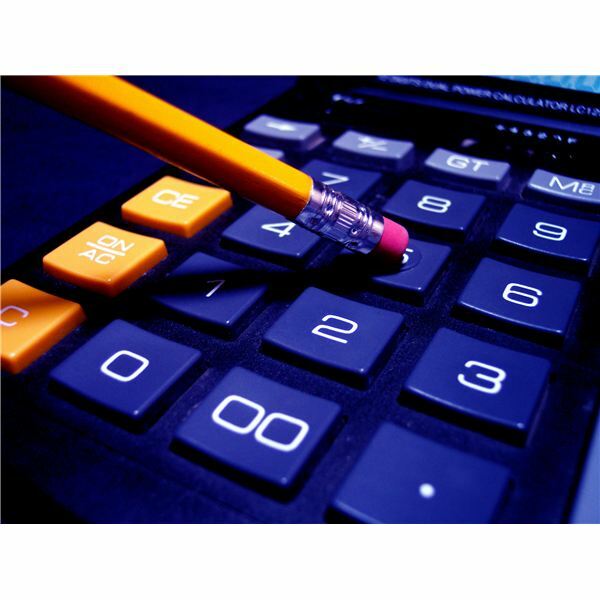 You must calculate your total business miles and multiply the amount by the mileage rate. You can’t take a deduction for any other vehicle expenses when this method is used. The Actual Cost method allows you to deduct all actual costs associated with operating a vehicle, including gas, insurance, oil changes and repairs. If you purchased the vehicle, you can take a depreciation deduction, and if you lease the vehicle you can take a deduction for the business portion of lease payments. The free business tax planning worksheets include Excel spreadsheets specifically designed for auto expense and mileage calculations. If you own a C-Corporation, you must report your business income and expense activity on IRS Form 1120. If you have a calendar year reporting period, your corporate tax return is due on March 15. If you have a fiscal year reporting period, your corporate tax return is due on the 15th day of the 3rd month following the close of your tax year. Corporations pay corporate income tax on net profits and shareholders also pay capital gains tax on dividends received from the corporation. Use the C-Corporation free business tax planning worksheet to organize shareholder information. If you own an S-Corporation, you must report your business income and expenses on IRS Form 1120S. Most S-Corporations use a calendar year reporting period and returns are due on March 15 each year. S-Corporations are pass-through entities. This means that profits and losses from business activities are passed through to shareholders (according to the percentages owned) and reported on the income tax returns of those who own the company. S-Corporations do not pay income tax on profits since they are passed through to shareholders who pay the income tax. If your gross income from the S-Corporation is more than $250,000, use the balance sheet calculator on the free business tax planning worksheet to help determine your balance sheet figures. If you own a partnership or multi-member LLC that has not made an election to be taxed as a corporation, you must file your business income and expenses on IRS Form 1065. Your business return is due on April 15. Similar to the S-Corporation, partnerships are also pass-through entities and the partnership itself does not pay income tax on profits; however partners must pay income and self-employment tax on the income that is passed through, while S-Corporation shareholders only pay income tax. If you own a sole proprietorship or a single member LLC that has not made an election to be treated as a corporation, you must report business income and expenses on IRS Schedule C and attach the schedule to your Individual 1040 income tax return. As a sole proprietor, the IRS does not consider your business activity to be separate from your personal activity. Your 1040 tax return is due on April 15. Similar to partnership structures, you must pay income and self-employment tax on your net business profit. The sole proprietorship free business tax planning worksheet contains the spreadsheets you need to calculate your income and expenses.